The lion is king of the jungle. Unfortunately when it comes to their domain, around half the world's tropical forests have already been cleared, with another Panama-sized chunk of forest being lost every year to human-driven deforestation and environmental degradation. According to the International Union for the Conservation of Nature, only around 8% of lions' historic range remains intact. So it would seem it was only a matter of time before these iconic beasts became endangered. That time has now come. On Monday, the U.S. Fish and Wildlife Service placed two breeds of lions under the protection of the Endangered Species Act. Lion numbers have fallen by more than half in Africa over the last two decades or so, and the Obama administration action will make it harder for sport hunters—like the one that killed Cecil the lion earlier this year—to bring lion trophies back to the United States. Retaliatory Killing Due to Increased Human-Lion Conflicts. Weak Management of Protected Areas. While the U.S. FWS has said the move isn't in direct response to the attention garnered by the killing of the well-known Zimbabwean lion five months ago by Walter Palmer, a Minnesota dentist, the timing certainly lines up. The agency did propose a rule in late 2014 to list African lions as threatened, but the more stringent listing of endangered will make it much harder for wildlife hunters to bring their kills back home. In order to import the lion trophies back the the United States, hunters will now be forced to get a permit by demonstrating that "the hunting and the trophy enhance survival of the species,” according to Teresa Telecky, the director of wildlife at the Humane Society International. Right now, hunters don't need a U.S. permit to bring in a trophy lion. These protections will not extend to all lions, yet. Lions in eastern and southern Africa, believed to number between 17,000 and 19,000, will only be listed as threatened. 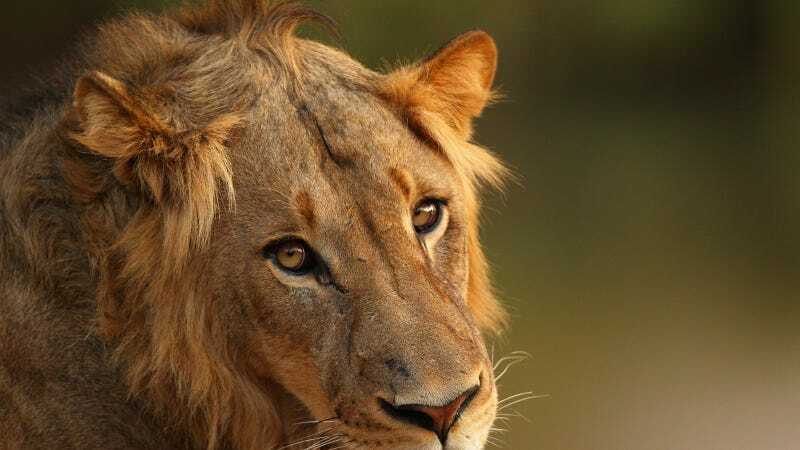 Lions found primarily in northern and western Africa, which are more related to Asiatic lions, will be listed as endangered as only around 1,400 are believed to remain in Africa and India. With as few as 20,000 lions existing in all of Africa, at least one recent study found that the population could be halved again in the next couple decades if a major conservation effort isn't undertaken. This would involve protecting their fast-dwindling habitat as well as better regulating sport hunting. Many sport hunters and local governments support lion hunting as a way to protect the species through economic incentives that provide valuable conservation funds to impoverished communities. However, as seen with the case of Cecil the lion, sport hunting doesn't always go as planned. The growth of trade in lion bones in Asia, where they are used in traditional medicine, could add another element of challenge to the conservation effort. While the federal government can't regulate hunting in other countries, the clamp-down on trophy imports could both reduce the number of lions killed by sport hunters and incentivize international action. As of now, lions are listen under Appendix 2 of the Convention on International Trade in Endangered Species—meaning the are not yet threatened with extinction but could soon be. According to the New York Times, the action by the Obama administration could end up catalyzing some lion populations to be put into Appendix 1, which prohibits nearly all international trade. Until then, the merits of sport hunting lions will continue to be debated. But as Hans Bauer, a lion expert at Oxford’s Wildlife Conservation Research Unit, told the New York Times, “the burden of proof is now shifted." In the end, it will really be up to the leaders of African countries to take action to protect what remains of the king of the jungle, but Americans have a role to play. The post has been updated to include the U.S. FWA press release.